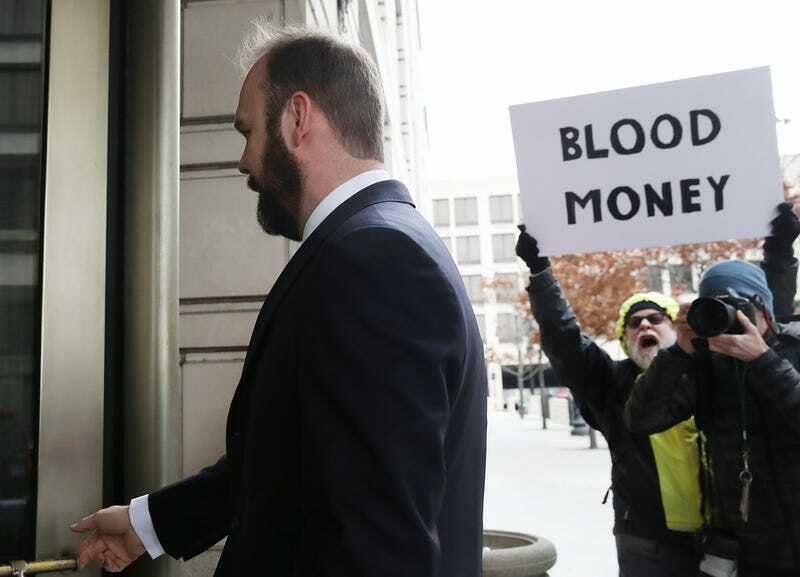 The bricks in the Kremlin wall, also known as the Trump administration, continue to crumble as former presidential campaign aide Rick Gates becomes the third person close to Donald Trump to make a deal with special counsel Robert Mueller after pleading guilty to conspiracy and making a false statement. Gates—who, in October, was indicted alongside former Trump-campaign chair Paul Manafort on conspiracy charges related to lobbying work in the Ukraine—appeared in federal court to enter his plea, NBC News reports. Gates’ guilty plea comes one day after Mueller filed a 32-count indictment against him and Manafort, hitting them with new charges of tax and bank fraud, and follows a plea agreement with a Russia-linked lawyer who admitted to investigators that he lied about his dealings with Gates. NBC News suggests that Gates’ initially entering a not guilty plea and then switching his plea to guilty could be proof that he’s flipped and will be providing evidence to the investigation. No word on whether or not Gates was given vending-machine snacks, but anyone who watches The First 48 knows that once investigators bring in the Flamin’ Hot Cheetos and AriZona iced tea, it’s only a matter of time before the witness starts singing. Gates, in pleading guilty, follows in the footsteps of Trump’s former national security adviser Mike Flynn and former campaign adviser George Papadopoulos, who, I’d like to point out, is not Webster’s father. Trump claims that the entire investigation is a witch hunt, but the president is also a senile old fool who believes that arming some teachers is the best way to handle mass shootings. While NBC News notes that the charges are not related to the campaign work of these men, they do show a connection between members of Trump’s staff and Russians, and could have been used as leverage by the Russians down the line. Mueller is still working his way through the Russia probe; in recent weeks he’s interviewed key figures including former chief White House strategist Steve Bannon, Attorney General Jeff Sessions and fired FBI Director James Comey.